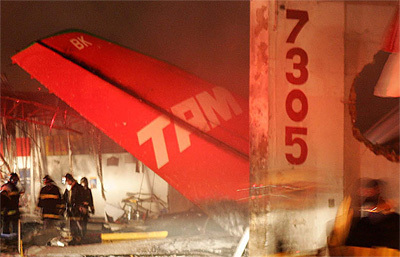 TAM Airlines Flight 3054 (JJ 3054) was an Airbus A320 airliner, registration PR-MBK, operating as a scheduled domestic passenger flight between Porto Alegre and São Paulo, Brazil, which crashed upon landing during rain in São Paulo on July 17, 2007.The twin-engined turbofan aircraft overran the runway, crossed a major thoroughfare during rush hour, crashed at high speed into a TAM Express warehouse adjacent to a gas station and exploded. There were 187 people on board: 181 passengers, 19 of them TAM employees, and 6 crew members. 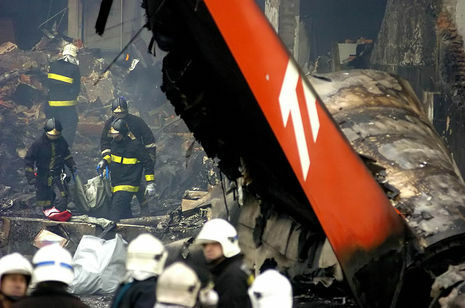 All passengers and crew were killed in the crash, in addition to twelve people on the ground. As of 2007, Flight 3054 has the highest death toll of any aviation accident in Latin America and the highest death toll of any accident involving an Airbus A320 anywhere in the world. An investigation by the Brazilian Public Safety Ministry released in November 2008 concluded that the pilots mistakenly retarded only the left engine to idle, because the right one had no thrust reverser working when in fact it was necessary to retard both engines in order for the spoilers to work. 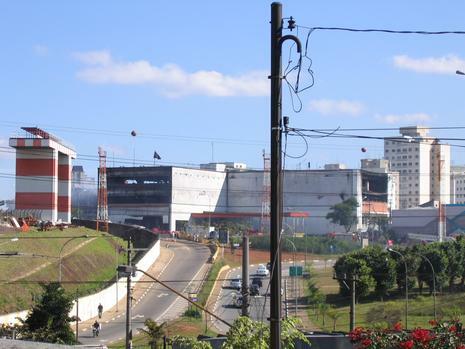 They also said that the National Civil Aviation Agency should have closed the airport on the night the plane landed because of heavy rains; that Congonhas airport authorities shared the blame because its runway had not been properly constructed with grooves to drain away excess rainwater, contributing to the crash; that the plane's manufacturer, Airbus, should have provided alarms warning the pilots that the braking system was failing; and that TAM failed to properly train its pilots, who did not act correctly in the emergency. 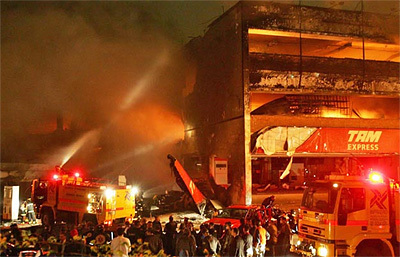 The crash of Flight 3054 in São Paulo, Brazil on July 17,2007 was shocking and could have been prevented. It was a recipe for disaster. Combined ingredients included a short runway in a large city center, inclement weather and gusty winds. Large rubber deposits had accumulated on the runway from repeated aircraft landings and as such, it was little wonder that the large commercial jet went down. It was a tragic accident with a large loss of life. This is actual video of what the approach would have looked like to that fateful crew.